Nimmy for Little Flower attempts a jumpshot against Providence, Kozhikode. Baby kutty: In boys, St Ephreme’s HSS Mannanam and Don Bosco, Irinjalakuda from Group A, St Joseph’s HSS Pulicunnu and Silver Hill HSS, Kozhikode from Group B; while in the girls, Little Flower HSS Koratty and Sports Division Kannur from Group A, SN Trust Kollam and St Michael’s GHS Kozhikode from Group B have confirmed their berths in the semi finals of the 13th All Kerala Inter- School Viswa Jyothi Basketball Tournament for Boys and Girls here at the Viswajyothi flood lit basketball courts at Angamally. In the boys league round matches, Don Bosco HSS Irijalkuda beat Santhal Jyothi Muttam 80-49, Silver Hill HSS Kozhikode beat Sacred Heart, Thevara 98-75, St Joseph’s HSS Pulicunnu beat Little Flower HSS Koratty-75-69, St Ephrem’s Mannanam beat Don Bosco HSS Irinjalakuda 68-59 and Shanthal Jyothi, Muttam beat St Thomas HSS Kozhencherry 52-32. 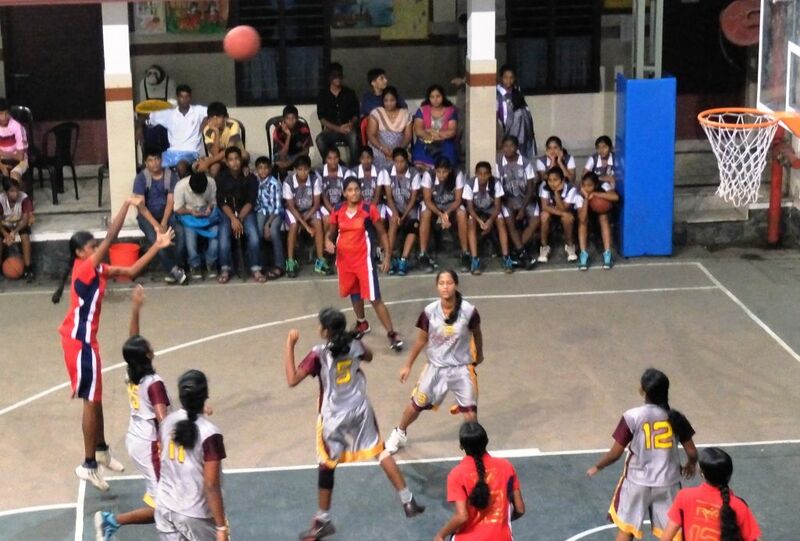 In the girls division league matches, CGHSS Thallasserry first lost to St Michaels GHS 14-41, then to Presentation GHS, Kozhikode 35-55 and finally to SN Trust, Kollam to make their exit from Group B while Little Flower HSS koratty beat Bhavan’s Vidhyamandir 37-19 and GVHSS Kannur 56-40, while S N TrustKollam beat Presentation, Kozhikode 66-39.